Spring cleaning is all about airing scrubbing away the sediment of the winter, airing out your home, and getting things all nice and tidy for a whole spring and summer's worth of welcoming guests and entertaining, staying efficient, and just enjoying a wonderful, clean home. 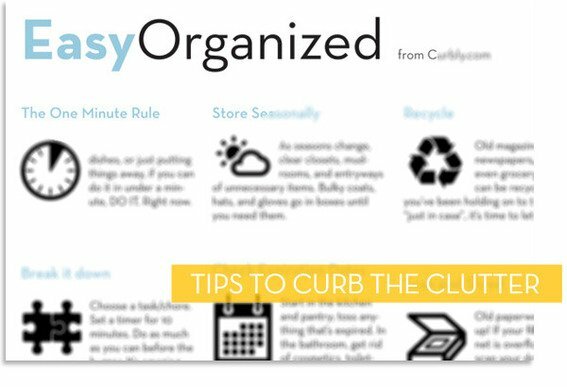 This month we're focusing on cleaning and organization, and we're giving away a series of helpful cheat sheet PDFs from the Curbly library. So far, we've shared a kitchen cleaning cheat sheet, a bathroom cleaning cheat sheet, and a general house cleaning cheat sheet. Today we have one on "Alternative Uses for Vinegar". Read on to find out how to download it! 12 Surprising Uses for Vicks VapoRub. Vick's has been making it's mentholated topical ointment - VapoRub - since 1905, and it's covered the chests and ticklied the nostrils of North America ever since. 8 Alternative Uses for Plastic Wrap. Plastic wrap, cellophane, Saran Wrap, cling wrap... whatever you call it, this just-a-bit-too-sticky surface does what it does - sealing food in containers to keep it fresh - and does it well. Turns out, there's at least eight other things it can do, as well, and they've been compiled thusly by Diane Rixon at DIYLife.